The Festive season is about to start . Starting from Rakshbandhan / Or Rakhi to Holi, there is hardly a dull moment. During the festive season there is always more than usual hustle bustle in kitchen. I have seen my mom and dad plan well in advance what will be cooked for each festival. Mom used to make all the sweets and savoury items at h ome. Now a days, neither do we cook as many things and due to lifestyle changes nor do we eat. Time is another constraint, too. However, as my daughter is growing up I want her to experience all the festivals and I try and make something special for her on every occasion. 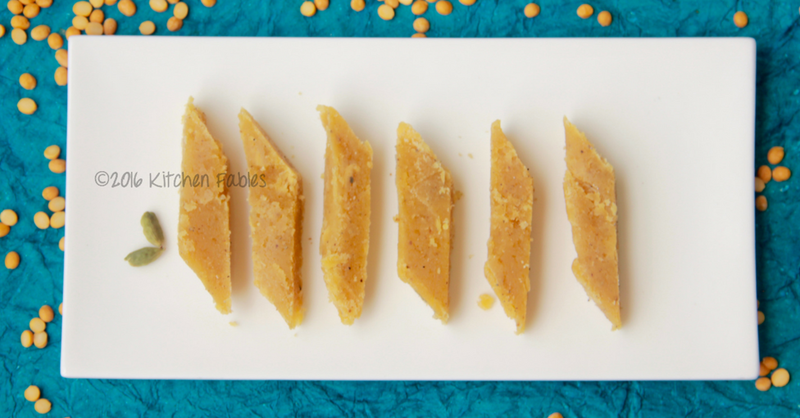 So my first post of the festive season is a Goan Sweet called Doss or Doce. 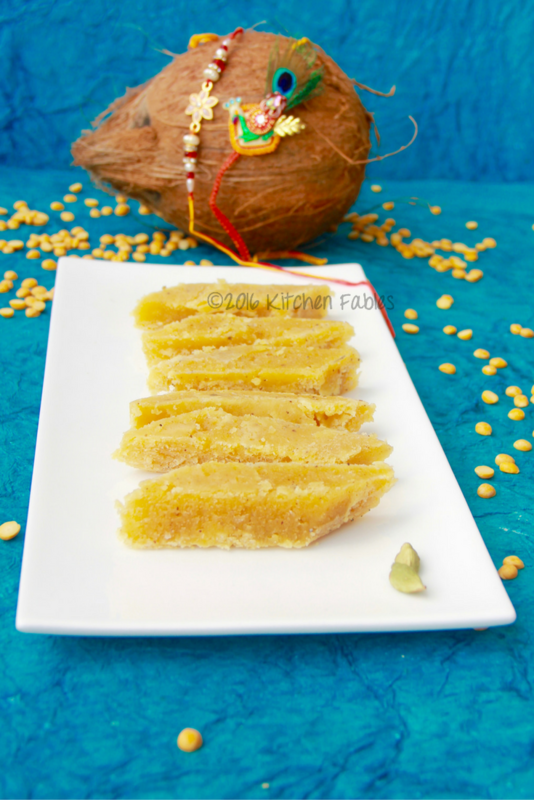 Doss is made during festivals, weddings etc. It is a simple sweet that does not need many ingredients but it needs a lot of patience and when you eat it , you will realize that the effort was worth it. 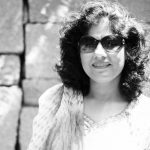 If you are wondering why am I doing my first sweet of the season from Goa, well it is on the request of Monica Joseph who follows my blog and requested it in the comments. Thanks Monica for requesting this! If you would like a particular dish, please feel free to request it in the comments and I will plan to include it. 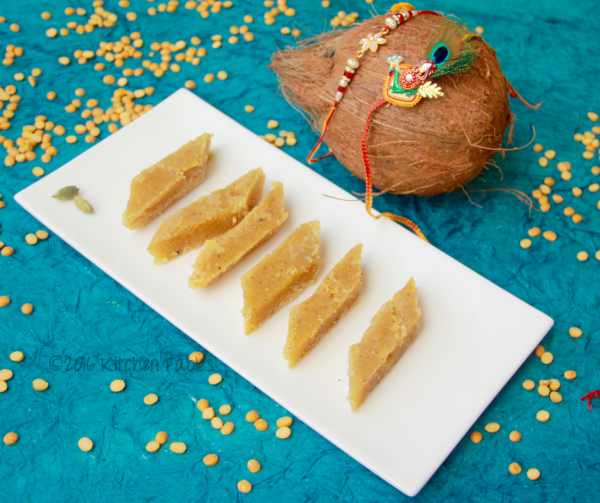 This is a recipe for Doss or Doce - a Goan Sweet. Doss is made of bengal gram, coconut & sugar. It is a sweet made on festivals & wedding. Drain the water and put the dal in a pressure cooker. Put 2 cups water, in the cooker and pressure cook the dal. Switch off the gas after the first whistle. Scrape the coconut and grind. Once dal has cooled down grind it in a mixer. In a big deep pan ( kadhai ) mix dal, sugar and scraped coconut and start cooking on slow flame. Stir continuously. Once the mixture starts thickening add Powdered Cardamom and Ghee. Keep stirring until the mixture collects all together. If you touch it with your hand it will not stick. It takes approx 75 minutes of cooking on low flame. Grease a tray and set the mixture . 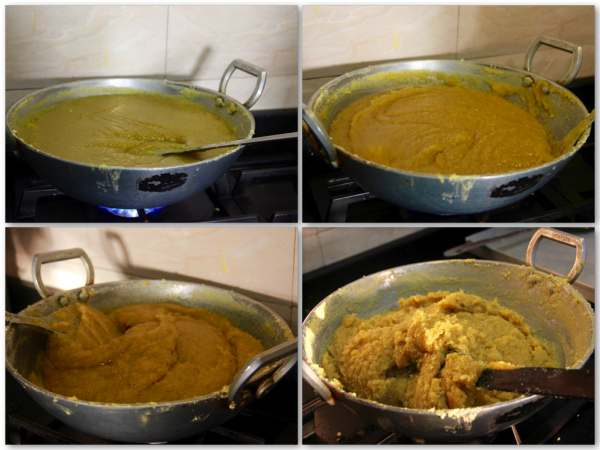 Rub some ghee on your hands and pat the mixture uniformly. After half an hour cut the the sweet in a square , diamond or your preferred shape. Oh my God Paluk, Thanks a ton for this Doss which is my Goan Favourite sweet dish. God Bless you always.